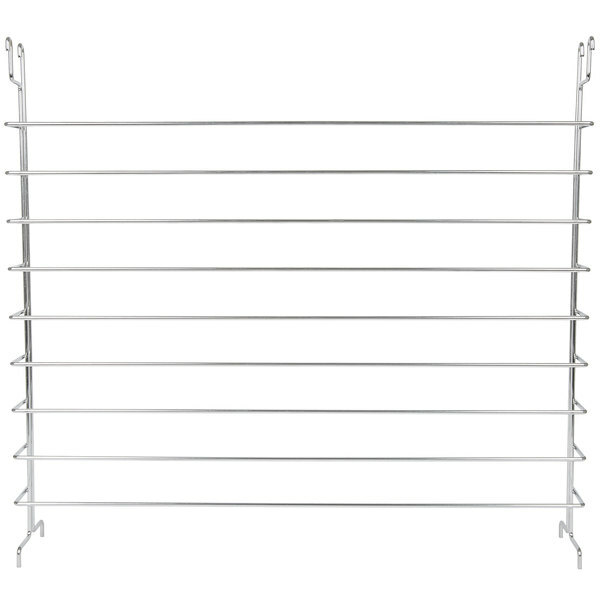 This Eagle wire shelving rack helps to maximize your use of space in your school cafeteria, storage area, or restaurant kitchen! 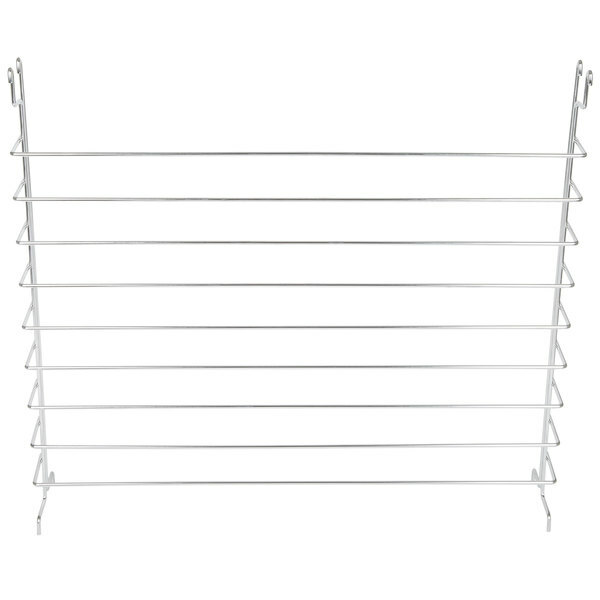 This rack will save your kitchen space since multiple trays can be nicely stacked in a vertical manner. 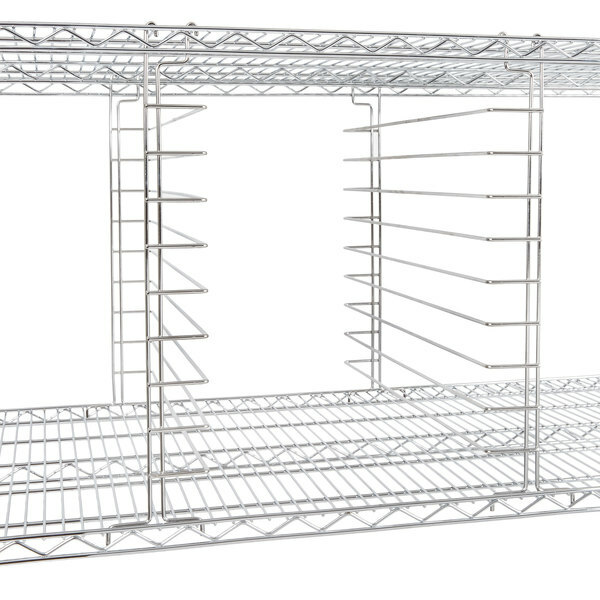 Eagle shelving can also be placed directly inside your commercial freezer or cooler. 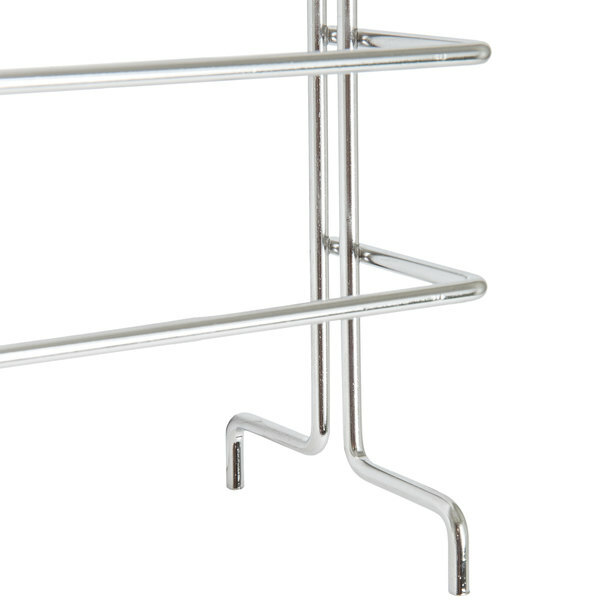 This tray slide rack is available in a chrome finish. 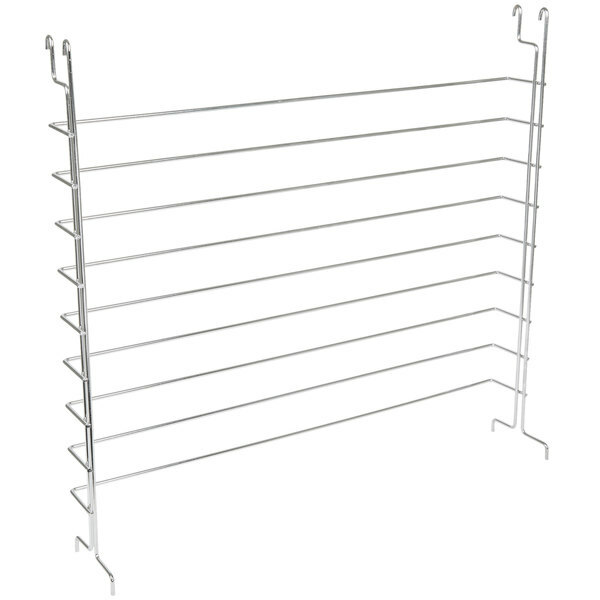 For use with 24" wide wire shelving. 1 1/2" spacing. 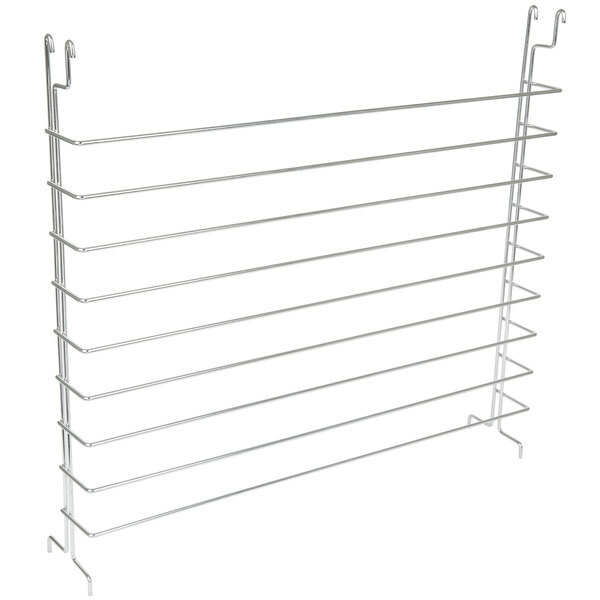 Metro SF33N3C Super Erecta Three-Sided Double Snake Frame 18" x 36"
Metro 1824BWI Black and White Reversible Decorator Shelf Inlay 18" x 24"
Works good in our pass through cooler. 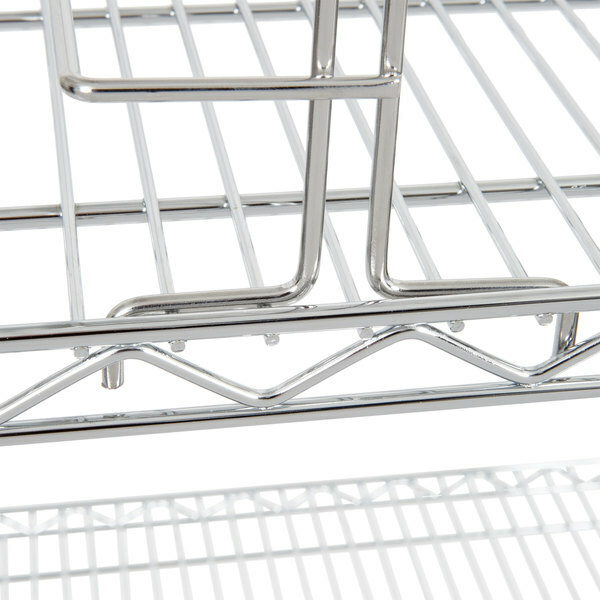 Holds pans with fruit or vegetables until we are ready to serve them on the line. 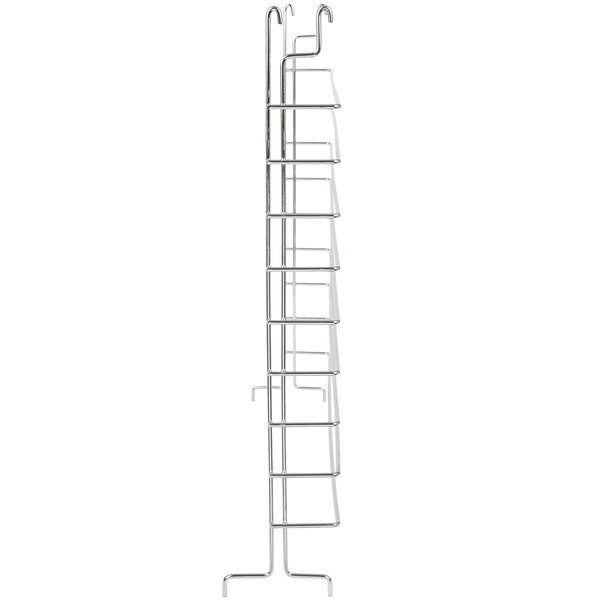 Assembles easy. 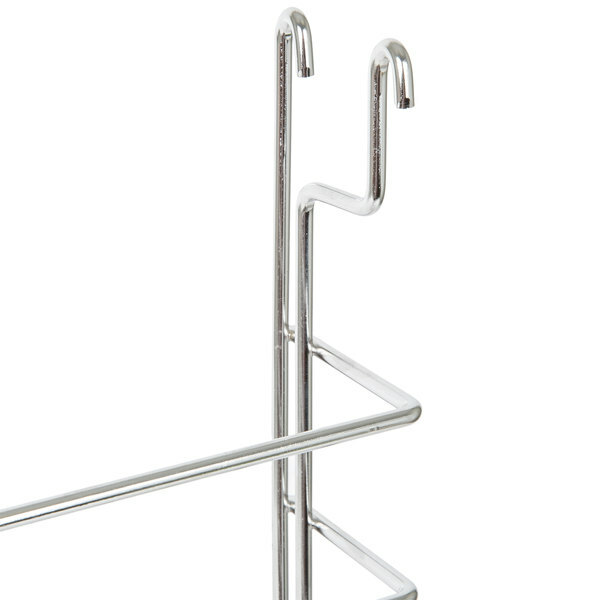 Nice because it clips onto your wire shelving though they are difficult to get to stay in place. 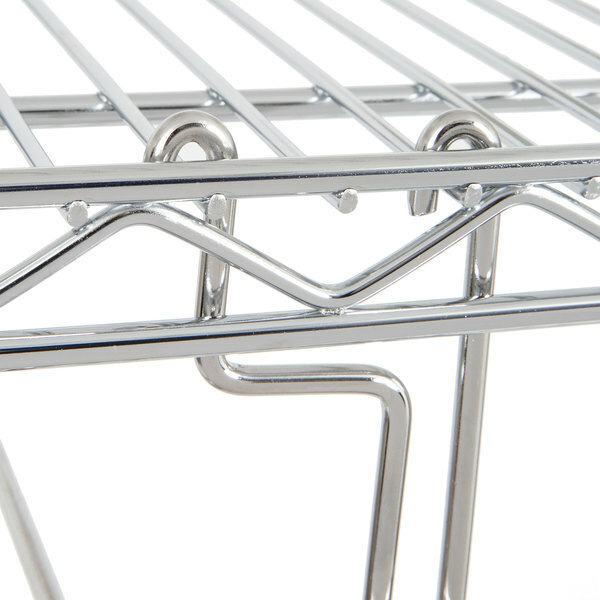 I do like the idea of being able to store sheet pans and trays with this.